The simple pleasure of shooting led somebody somewhere to invent a device with which we can shoot more cheaply and more often by reducing the feeding requirements of a larger cartridge to that of a smaller. Or perhaps its impetus was in developing a less expensive means of training new soldiers in the art of marksmanship. Regardless of the original goal behind its invention, the auxiliary cartridge permits us to shoot pistol cartridges in rifles that utilize bullets of the same diameter as the pistol cartridge. And this, of course, opens another door to the handloader. The 30-30/32 ACP auxiliary cartridge is most suited to bolt guns, like this Savage Model 340B, or single shot actions. Auxiliary cartridges go by many names: cartridge adapter, chamber adapter, chamber insert, zip cartridge, reduction cartridge, and doubtless a few more. We’re not concerned here with sub-caliber devices, those that adapt bullets of smaller diameter to bores of larger diameter, or that permit firing metallic cartridges in shotguns – those are different critters. It’s also not possible to present here an exhaustive treatise on the auxiliary cartridge. Instead, let’s look at three ways of making smaller pistol cartridges fit and fire in larger rifles. Oddly, an internet search turned up no current manufacturer of auxiliary cartridges, though plenty of used ones are available at the various online auction houses. There’s got to be one or two makers still out there, but 15 minutes of Googling came up empty; maybe I missed it and you will have better luck than I. Past brand names of these devices include Winchester, Marbles and Alex, and Enfield apparently made a 32 ACP adaptor for 303 British chambers. 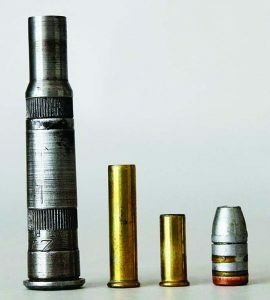 Some of the more popular adaptors converted the 250 Savage to fire 25 ACP; the .30-30 to 32 ACP or 32 Short Colt; 8×57 to 32 ACP; 577-450 Martini to 45 Colt; and 22 Savage High Power and 223 Remington to 22LR. This 30-40 auxiliary cartridge utilizes 22LR or 22WMR blanks to drive .30 caliber bullets, permitting unusual new experiments for the cautious handloader. Adapting a centerfire pistol cartridge to a centerfire rifle chamber is a straightforward affair in that the adapter needs only the outer dimension of the rifle’s cartridge, the inner dimension of the desired cartridge and enough beef to handle the pressure with the support of the chamber walls. These adapters are typically made of steel or some such hard alloy, as an adapter made of brass would lack the durability of continued use and handling, and unlike a brass cartridge, we don’t want or need the adapter to expand upon firing. Adapting a rimfire cartridge to a centerfire arm, however, is complicated by the difference in priming systems because we must now move the blow of the firing pin, striker or hammer from the center of the original cartridge to the rim of the adapted cartridge. 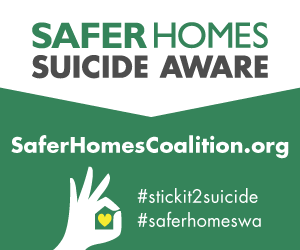 Makers of auxiliary cartridges accomplish this with an integral striker. The firing pin of the firearm strikes the center of the adapter’s integral striker, driving it forward to transfer the energy of the blow to the rim of the cartridge via a protrusion on the outer edge of the face of the integral striker. All the centerfire-to-centerfire adapters I’ve seen are single shot-only propositions, as the cartridge will likely slide out the back of the adapter when attempting to feed multiple adapters from a magazine. Some adapters, which look rather like a broken shell extractor, hold the cartridge at the front of the adapter, and so also are strictly single-loading. A centerfire-to-rimfire adapter may or may not feed through a magazine – you might buy a few and experiment with your own rifle, as it may be a matter of individual firearms and auxiliary chamber compatibility. Personally, I wouldn’t subject an irreplaceable auxiliary cartridge to the slam-bang-slam abuse of a semiauto action, and be aware that cycling such adapters through semiautos has resulted in rimfire cartridges firing unintentionally when the bolt closes with considerable force. Single-loading auxiliary cartridges into a solid-top receiver lever gun like the Marlin 336 can be a bit fumbly. Given all that, single shot and bolt action rifles are the natural platforms for auxiliary cartridges. The 223 Rem auxiliary cartridge employs a separate firing pin to fire 22LR cartridges. The first example illustrated here is of the straightforward type, an adapter that fits a .30-30 chamber and accepts a 32 ACP cartridge. This combination works because the .30-30 bullet is an ostensible .308” diameter, and that of the 32ACP is .309” – close enough. The 32 ACP cartridge slips into the back of the .30-30 adapter, and the rifle’s firing pin directly strikes the 32ACP primer. The second one, adapting a .22 rimfire to a 223 Remington chamber, has that aforementioned integral striker. We insert the 22LR cartridge through the back of the adapter and then insert the integral striker behind it. 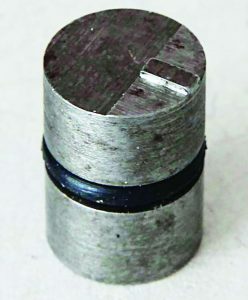 On the adapter illustrated here, a rubber O-ring around the integral striker provides enough friction to hold it in place. The .22 rimfire lead bullet diameter is .225” and that of the 223 Remington is .224” – again, close enough. Do note that shooting this arrangement in an AR-15 does not produce enough energy to cycle the semiautomatic action. 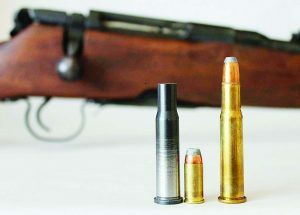 The third auxiliary cartridge presented here, which fits the chamber of the 30-40 Krag, works on a somewhat different principal, utilizing a bullet-less .22 rimfire case and powder charge to propel a .30 caliber bullet of appropriate diameter. This one, too, has an integral striker to contact the cartridge rim and light off the rimfire’s charge to drive the bullet down the bore. Of these three types of auxiliary cartridges, the latter permits us an interesting latitude of safe experimentation. 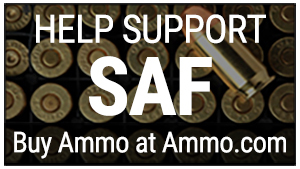 Does a .22 blank have enough energy to send a .30 caliber bullet out the muzzle? Maybe not, but we can try it, keeping at hand a stout rod to drive a stuck bullet from the bore, if necessary. We can pull the bullet from a .22 rimfire cartridge and insert something appropriate—even something as humble as a wad of paper or tissue—to hold the powder charge in place to prevent spillage while we load and fire. We can start with a 22LR, and then perhaps try a 22 Magnum; we might also dump the factory powder charge and substitute another type of powder to drive the bullet with more velocity or better precision. The 223 Rem auxiliary cartridge firing pin transfers the centerfire blow to the 22LR cartridge rim. The rubber O-ring retains it in place. There are a few cautions and concerns in handloading pistol cartridges intended for use with these rifle chamber inserts, the first and most obvious being the pursuit of higher velocity. Experimenters discovered long ago that a pistol caliber cartridge fired in a rifle barrel produces velocities lower than when firing the same cartridge in a pistol barrel. Velocity loss can be several hundred feet per second. The apparent reason is that the relatively fast pistol powder has exhausted its accelerating energy long before the bullet reaches the muzzle, and so friction with the bore begins to slow the bullet during its latter portion of travel to the exit. The first obvious solution, of course, is to handload the pistol cartridge with more powder. There are two hazards here immediately obvious to even the beginning handloader. First, while exceeding recommended pistol cartridge loads might at first blush appear to be safe enough when fired in a rifle, that judgement ignores the fact that the pistol cartridge is really fired within the auxiliary cartridge, with the rifle chamber providing support. If a load is too “hot” for a handgun, it may also be too powerful for an alloy auxiliary cartridge. The rifle may hold together, but you could end up knocking bits of ruined auxiliary cartridge from the rifle’s chamber and bore. A second hazard lies in mixing up such a handloaded cartridge with a standard load and inadvertently firing it in a handgun; the result might only be unusual recoil or an alarming amount of muzzle flash, or it might be a serious injury or worse to the shooter or bystanders. Keeping in mind the safety caveats, the auxiliary cartridge is another interesting and unusual avenue for the curious and careful handloader. Perhaps we’ll have opportunity in a future article to document experiments with a couple different types of adapters.